Nearly 1 in 3 of all internet users in China use a VPN to access overseas content or websites, and Beijing is beginning to crack down internally on individual users that are caught surfing the worldwide web beyond the censorship of the Great Firewall. Previously the Chinese government has focused on blocking VPN providers from providing services within China, having even imprisoned VPN sellers for five years and fined them so steeply that they’ve had to surrender all profits to the Chinese government. China has also seen fit to lock up domestic VPN programmers with punishments as harsh as three years behind bars along with stiff financial penalties. But the new change in tactics seems to signal an even more aggressive campaign to deter Chinese citizens from looking for ways to access the internet outside of government-controlled channels by going after any person in China even remotely bold enough to use an unapproved VPN. China has outlawed the use of any VPNs that haven’t been vetted and state approved which has raised concerns about data privacy for those particular VPN services. But despite the fact that they’ve turned VPNs into forbidden fruit it hasn’t kept Chinese users from turning their country into one of the world’s most in-demand places to have access to VPN services. Reports out of China confirm that any use of an unauthorized VPN will result in a 1,000 Yuan ($145 US dollars) fine per offense. This represents a potentially cost prohibitive penalty for a country where the average blue-collar worker earns $3.60 an hour. And it’s a fine that may make the typical Chinese VPN user think-twice before logging on. The implementation of VPN fines is just the latest effort by China to enforce a “public security” law dating back to 1997 that made it unlawful to access “foreign internet” without obtaining explicit permission from the Chinese government beforehand. 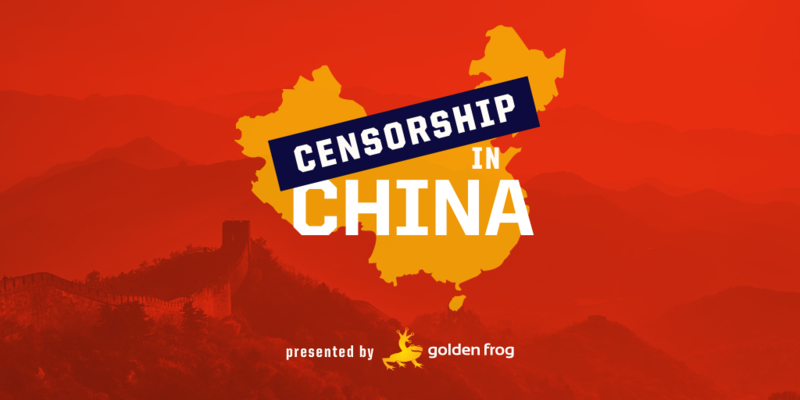 VPNs have been the thorn in China’s side when it comes to controlling what kind of media and content the Chinese people are allowed to consume from the West or via social media. Whether or not this proves to be a game-changing wrinkle in the way VPN services operate remains to be seen, how effective Chinese authorities will be in detecting VPN users is an unknown quantity. It’s potentially a huge setback for VPN services if and when China is able to craft an automated system that hunts down individual VPN users. We intend to actively assess the actions of Chinese authorities and make sure that we take any of the necessary steps to further protect VyprVPN users from being exposed to the unwelcome eyes of government snoops. With every new effort China makes to thwart VPN services from operating inside China, they affirm to the world how necessary we are for the sake of internet freedom. Nothing short of human rights and free speech are at stake here.